Close to Home was provided a promotional item for our workbench to facilitate this review, all the opinions expressed are 100% our own. 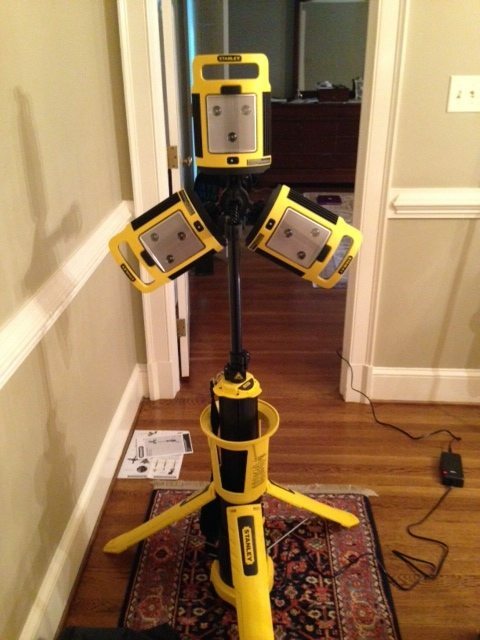 My wife recently surprised me with a new Stanley FatMax Portable Tripod work lamp. This is a must have for any DIY homeowner. The light is perfect for both small and large jobs around the home, unexpected power outages and even late night outdoor events. For my first experience with the FatMax Tripod, I decided to replace the plastic corner guards in our upstairs hallway with more appealing wood molding. The FatMax was easy to set up and the three cordless LED lights on the tripod put out a whopping 2400 lumens of light for over 10 continuous hours. The FatMax Tripod can be either plugged into any 120V AC outlet or charged for battery use for those tough to reach places. After unpacking the FatMax, I had the light working within a few minutes and it is very easy to set up. The unit is also lightweight and can be carried over your shoulder (shoulder strap is included) so you do not have to make multiple trips to / from your work bench / tool locker. The FatMax has a tremendous number of adjustment options and can be raised from three to six feet in height. Additionally, the individual lights work on 90-degree hinges, allowing for maximum multi-directional positioning so any area in your home can be illuminated. 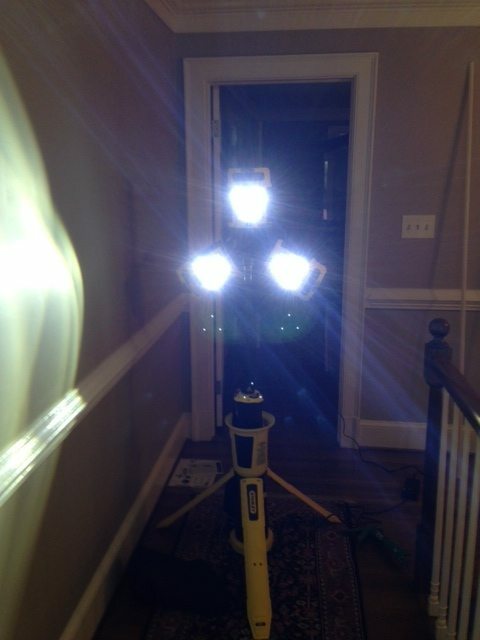 I’m 44 years old and getting to the point where I need a lot of light while doing home projects. Individual work lamps do not provide the same amount of light at the FatMax Tripod and I feel very fortunate to own this Stanley product. The light also maintains a 12 month charge so I am almost excited to see how it works during our next power outage or camping trip. Another nice feature is the lights stay relatively cool during usage so you do not have to worry about burns / fires while using this product. Lastly, each light is removable from the tripod and can be used individually as necessary. The Stanley FatMax Tripod worklamp is an incredibly useful tool with endless possibilities. 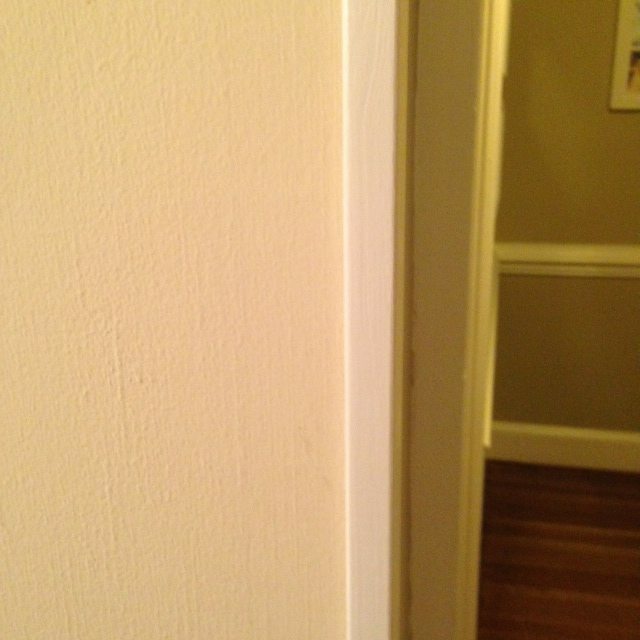 I love my wife and my new molding on the hallway corners.